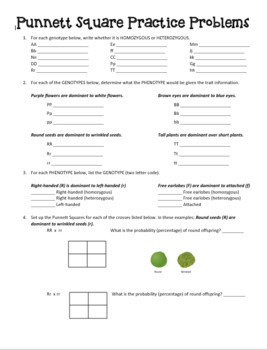 Worksheet for a Heredity Unit that has students practice vocabulary terms such as genotype, phenotype, dominant recessive, homozygous and heterozygous. Students will also practice their skills of creating and completing Punnett Squares to determine potential genotypes from a genetic cross. 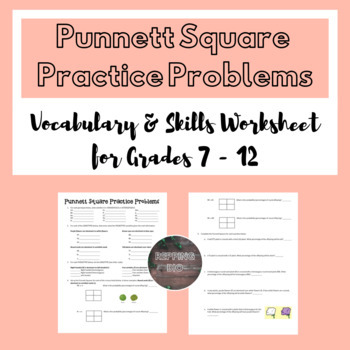 Can be used for notebooking in class or as homework practice. Download includes both a Word doc and PDF file.